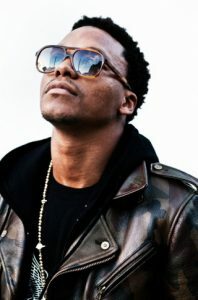 Grammy-winning American rapper and singer who became famous in 2006 when his debut album, Lupe Fiasco’s Food & Liquor came out. He is also known for being a part of the rock band Japanese Cartoon. He has collaborated with numerous artists, including Kanye West (“Touch the Sky”), Snoop Dogg (“Hi-Definition”), Pharrell Williams (“I Gotcha”), Jay Z (“Pressure”), DOUBLE, Joy Denalane and Dan the Automator. Born Wasalu Muhammad Jaco on February 17, 1981 in Chicago, Illinois, to parents Shirley and Gregory Jaco, Fiasco has five sisters and four brothers. He belongs to West African descent. He attended Thornton Township High School and began to rap when he was in the 8th grade. In 2013, he began dating American model Dani Evans. *He was born on February 17, 1981 in Chicago, Illinois, USA. *His parents got divorced when he was five years old. *His debut album, Lupe Fiasco’s Food & Liquor, was released in September 2006. *He was named one of GQ’s Men of the Year in 2006. *Nas, Jay Z, Common, A Tribe Called Quest, Q-Tip, AZ, De La Soul, N.W.A, Mos Def, Pharrell Williams, Linkin Park and Gang Starr are among his favorite celebrities/influences. *He is an avid fan of video game and likes to play the Street Fighter series of fighting games.